I am ashamed at how long it’s taken me to start writing this review. My head space and time has been taken up with the publication of my own book on doulas, so I come to this later than I wanted. I have to start by being transparent. This probably won’t be the most objective review you ever read. For those of you who don’t know, Adela is a good friend of mine. 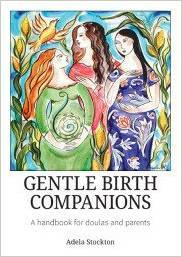 She honoured me by asking me to edit the first edition of Gentle Birth Companions and my relationship with Adela, and her book, is the foundation for much of my writing on doulas since 2010. Her encouragement and faith in my abilities has spurred me on. She is the physical manifestation of everything I would say defines ‘doula’. I am so happy to see this new and improved edition of Gentle Birth Companions. Brought bang up to date, with a new forward by the lovely Geraldine Watson, past Chair of Doula UK, this edition ensures that GBC (as it’s affectionately known) maintains it’s place in the doula canon. For years everything that was available to read about doulas came to us from across the big pond. All fine and dandy of course, but there are subtle and not-so-subtle differences between the UK and US flavour of doula. The narrative of the development of doulas in Britain was in danger of being lost. The story of the formation and development of Doula UK, our mentoring process and the evolution of our preparation courses was in danger of being lost. Adela’s self-appointment as our historian and scribe was gratefully received by all of us. 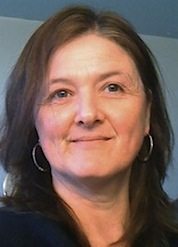 And, of course, Adela is perfectly placed for this position; she has been around since the early days, taking on roles within Doula UK and setting up the Scottish Doula Network. As an ex-midwife, she is well placed to have an overview of how doulas fit into the maternity care scene and her teaching and mentoring of new doulas give her an insight into the motivations woman have for joining our community. But GBC isn’t just a historical record; Adela explores the future of the doula movement, here and around the world – if you want a book on the anthropology of doulaing, this is it. If you’re a new or aspiring doula, this is the book to read to put yourself in context. It is only by knowing a little of the path your sisters have trod that you get insight into the path ahead and work out what kind of doula you want to be. But whether you are new doula, experienced birthworker or parent, this book will give you food for your soul. The stories at the end never fail to fill my heart with emotion, however many times I read them. As I flicked through this morning, the two I contributed sent me off into a lovely daydream. The stories from other doulas, many of them great friends, fill me with awe at their strength and commitment to their clients. GBC is the first and greatest UK book on doulas; Adela sets the bar high with her clear writing style and huge circle of wise and experienced contributors. We are certainly lucky to have her within our ranks. I wish her love and luck in her new incarnation as psychodynamic counsellor. You can buy GBC on GBC amazon or via her Adela Stockton’s website.